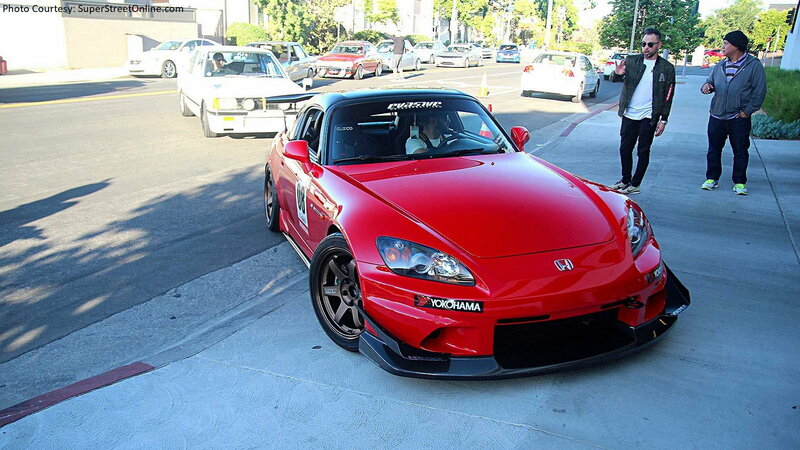 For one day at least, a section of Los Angeles turned into import and Honda heaven. One of the coolest things about the Petersen Automotive Museum in Los Angeles, California is that it doesn't just celebrate American car culture. It celebrates car culture, period. This was clearly on display recently as the museum hosted the second annual Japanese Cruise-in and Super Street Tech Day event. 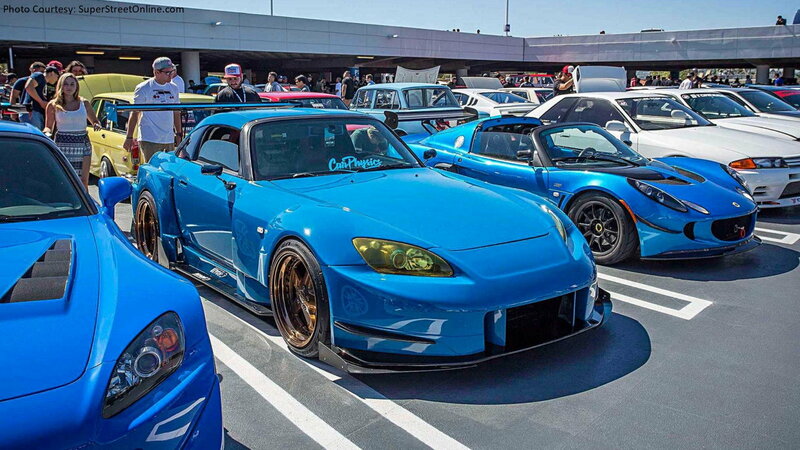 And thankfully, Super Street, the main sponsor of the event, was there to capture all the S2000 goodness for us to drool over. >>Join the conversation about the Hondas of the Petersen's Japanese Cruise-In right here in the S2ki Forum! According to SS, this year's event brought in a lot more folks than last year. And they showed up much earlier, probably with the hope of beating out the horrific traffic that suffocates the Miracle Mile area on a daily basis. Regardless, those who waited out the mad rush to get in were quickly rewarded with a large variety of eye candy. Honda fans were treated to goodies like the the very first Honda ever imported to the United States - Serial One N600. That historically significant car was joined by the restored N and Z600 models, as well as various Integras, Civics, and of course, plenty of S2000s. They included Hector Levario's S2K, seen here trying to clear Petersen's driveway hump without scraping its Voltex front bumper. 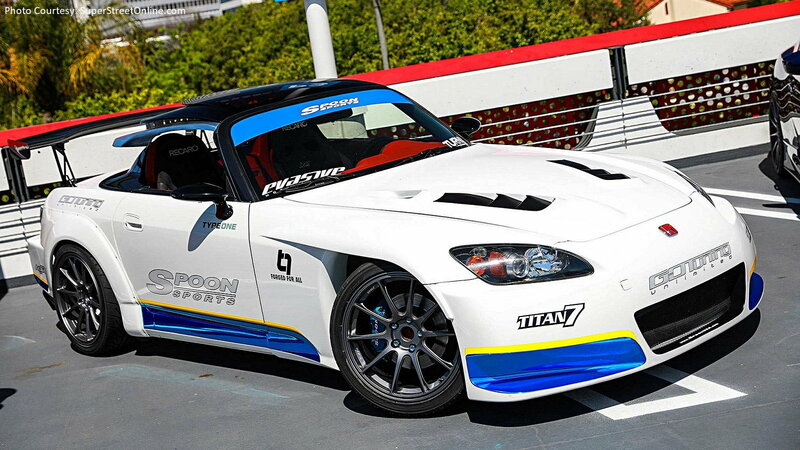 Among our favorites at the show was Go Tuning Unlimited/Spoon Sports USA's demo S2000, which also happens to feature what Super Sport calls a "very controversial" one-off top. Other notable features include a V2 front bumper and Titan 7 T-R10 wheels. Honda's clearly dominated attendance this year, but all makes and model are welcome at Super Street Tech Day. That includes not only Japanese models, but European cars, exotics, and even a few muscle cars. So if you're a fan of car culture in general, be sure and mark your calendar for next year's event.